I first stamped the background stamp on both the Whisper White A2 sized card, then I stamped it again on the 3-1/2"x 3-1/4" piece of Whisper White cardstock in Blushing Bride. I then stamped each of the letters in Basic Black on the smaller piece of cardstock making sure that I lined them up the best I could. You have to make sure that the stamp is good and saturated in ink too for best results. Practice of scrap paper a few times first. Next, I popped dotted the smaller piece of cardstock onto the background piece. Then I die cut the "You" from the Hello Thinlits on my Big Shot in the Red Foil paper. 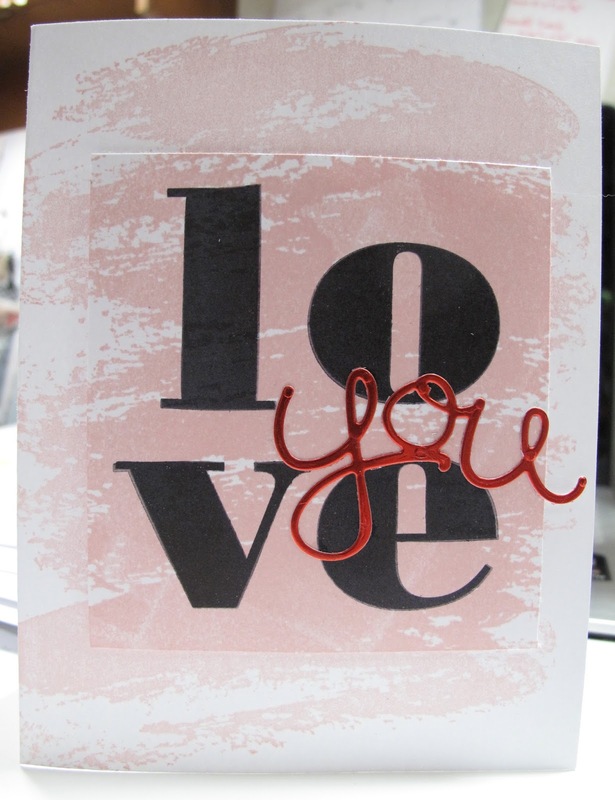 I then adhered the "You" onto the card with 2 way glue. And there you go, a really cute Valentine's Day card for someone special. 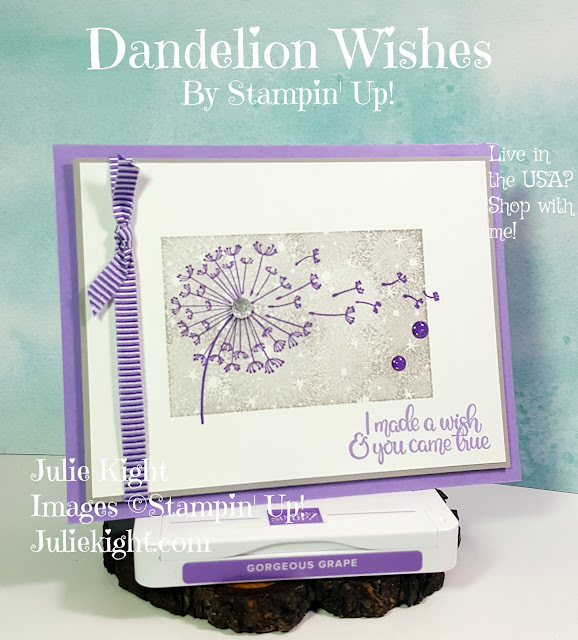 Thank you for taking the time to come to my blog and check out my card. I really appreciate it. 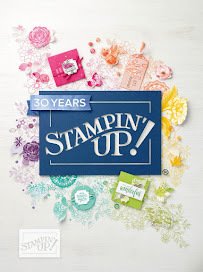 Come back tomorrow for another card sample this time using some items from the new Occasions Stampin' Up! 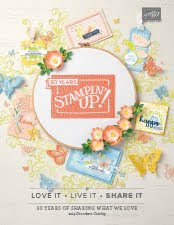 2016 catalog. I think you will like it. Hint: It is a birthday card and you can't have too many of those! Have a great day!